It doesn't matter how many people you have on your Christmas list to buy presents for, but chances are that you'll almost always have someone on your list that you just don't know what to buy for them. Many people run into this kind of trouble when buying Christmas gifts, but an option that's always readily available is to either make a Christmas gift basket of your own or to buy a pre-packaged one. There are all sorts of things that go into making Christmas gift baskets, but here are some good pieces of advice and suggestions to use before going all out to afford the nicest Christmas gift basket possible! Even though you may not want to come across as a cheapskate, making your own Christmas gift basket is considerably less expensive than buying one at a retail store or even a specialty shop or business. The reason that it's usually a whole lot cheaper is because you are actually paying for all of the products to be pre-packaged and usually gift-wrapped in a nice Christmas basket. Even though retail Christmas gift baskets can be a great thing for some people, there are plenty of others who would simply rather create their own not only because it's the less expensive option, but also because it will come across as a whole lot more personal! The first thing that you'll want to do before even starting to prepare a Christmas gift basket is to think about the person you are buying and making it for. Making a list of all the things that he or she loves is important because you don't simply want to throw a few things together in the hopes that the receiver will like it. After you have thought about what you are going to buy the person, though, the first step is to actually select the Gift basket and decorate the outside of it. Even though decorating the outside of a gift basket doesn't seem like it would take a lot of work, consider the fact that you may end up with a plain brown basket to fill. This is not a downside entirely, however, because you can always fill the bottom of the Christmas gift basket with garland, hang a few small Christmas tree ornaments on the outside of the basket weaves, or do something else to spruce up the look of the gift basket itself! 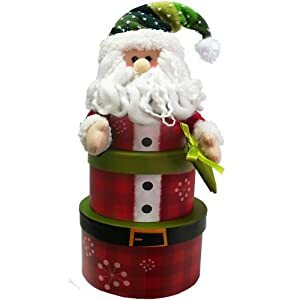 After you've made sure that the outside and inside of the Christmas gift basket is decorated well then you are absolutely ready to buy Christmas gifts to put inside the basket. Even though this is an important aspect to the gift basket idea, one shouldn't spend too much time pondering what to include. Gathering a good variety of gifts is always good to do: perhaps a couple of DVD movies, music CDs, as well as various other small accessories are great to put in a gift basket. All of these things will definitely help you make your special Christmas gift basket. Remember that a lot of people actually choose to go into business for themselves specializing in Christmas or holiday gift baskets, so making one for your family and friends is all the more important! There are full instructions here on the site to help you make your own if you are feeling creative and want to learn how to make gift baskets yourself! And if you want some inspiration you can check the gift baskets for sale online at Amazon as well - just check out the gift basket below with a click, and you can see all the rest while you are there too! Tell me if you also love getting and receiving gorgeous gift baskets, and share any ideas you have for themes that can be used to make gift baskets as well if you have tips to share... Click the COMMENTS link below and tell us all about it - thanks!!!! Join in and write your own page! It's easy to do. How? Simply click here to return to Gift Baskets.